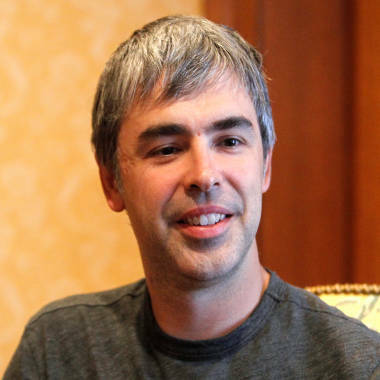 No more long monologues for Google co-founder Larry Page. The 40-year-old chief executive says both his vocal cords have some degree of paralysis, which he says was caused by a virus. Larry Page, Google’s co-founder and chief executive, says the condition that has left his voice hoarse and raspy and made public speaking difficult was caused by a virus. Page disclosed Tuesday that he has some degree of paralysis in both of his vocal cords. That, he said, causes breathing problems and allows him to speak only in a quiet voice. “Thankfully, after some initial recovery I’m fully able to do all I need to at home and at work, though my voice is softer than before,” Page said in a written statement. “And giving long monologues is more tedious for me and probably the audience. At least 5 percent of Americans have experienced paralysis of a vocal cord, although many more probably go undiagnosed, said Dr. Natasha Mirza, a professor of otolaryngology at the Perelman School of Medicine at the University of Pennsylvania. Paralysis can result from trauma to the cords during surgery or an accident, but many cases are thought to be related to a viral infection that somehow damages the nerves that power the vocal cords, Mirza said. We each have two vocal cords – one on the right and the other on the left – of the voice box, Hopp said. “Like every other muscle, the vocal cords are driven by nerves and those nerves can be damaged,” he added. With one cord paralyzed, the other has to work harder to close the gap between them when we want to vocalize, Hopp said. And that is what leads to a weakened voice. While experts believe that viruses are at the root of about 40 percent of vocal cord paralyses, no one really knows for sure. It’s just a circumstantial case: A person gets a virus and, close on the heels of that, becomes hoarse. That’s what Page says happened to him. His left vocal cord became paralyzed about 14 years ago after a viral infection. And then, recently, after another virus struck, his right vocal cord lost much of its function. Page appears to be among the unfortunate ones whose vocal cords don’t recover. A study published in Laryngoscope in 2008 found that 36 percent of vocal cords fully recover on their own, with another 39 percent experiencing partial recovery. The rest stay paralyzed, like Page’s left vocal cord. For those with vocal cords that don’t recover, there are options, said Dr. Albert Merati, a professor and chief of the laryngology service at the University of Washington School of Medicine in Seattle. The simplest solution is to “plump up” the paralyzed cord. By doing that, doctors narrow the gap between the paralyzed cord and the healthy one, which makes it easier to speak -- but a little harder to breathe Merati explained.